If you keep wondering why your friend of the same type and level is getting auditions and you are not, the answer of course is quite obvious. Your friend might be having better casting agent or more casting directors know him. Casting directors prefer to call actors whom they already know and about whom they are confident that they can deliver the job rather than calling someone new. You can really increase your chances of getting acting casting auditions calls if you know about the casting directors, or more precisely, if the casting directors know about you. This is the bottom line on getting more auditions. Get casting directors know you and get yourself more auditions. There are several ways you can make yourself known to the casting directors. You can avail the services of a reliable and renowned casting agent. Casting agents share a good rapport with the producers and directors and are often approached by the casting directors whenever they require an actor for a lead role or extras auditions. If the casting agent has your resume or acting profile, he can forward the same to the casting directors as and when the need arises. This ways you can get an entry straight to the audition casting. Yet another way you can get yourself more acting auditions calls is by listing your acting profile online. There are dozens of websites out there that let actors of all types and levels to reach the casting directors quickly and easily. 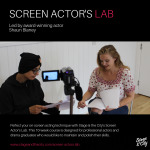 All you have to do is post your acting profile online or put an impressive video or photographs of yours on the website to get yourself viewed by interested directors and producers. If the casting directors find you impressive and feel that your acting skills and capabilities match their specific requirements, they would themselves call you for acting auditions. This method is better than availing the services of the casting agent as you can enjoy enhanced visibility. You and your acting profile would be viewed by a large number of casting directors. Casting agents usually have contacts with only few casting directors. Further, they charge commission for their services. But, if you use the Internet to get yourself known to the casting directors, you can get away with the fees and commissions too. So, choose whichever method you like and multiply your chances of getting open auditions calls or extras auditions calls. To get auditions casting calls or extras auditions calls, you may visit www.castingnow.co.uk The website is the leading platform to showcase yourself to prospective directors and producers and bag for yourself some of the best acting roles in the industry.